Texas Company Gas Station, 1902. Courtesy of Texaco. Image available on the Internet and included in accordance with Title 17 U.S.C. Section 107. LEACH, JOHN SAYLES (1891–1964). John Sayles Leach, president of Texaco, Incorporated, was born in Allen, Texas, on September 30, 1891. After the death of his parents he was raised on his grandfather's farm. He attended Baylor University, where he played football and basketball and graduated in 1915. He joined the Dallas sales department of the Texas Company, the forerunner of Texaco, on September 25, 1916. He then worked as a traveling salesman based in Waco. In 1919 he was transferred to Wichita Falls, where, after the opening of the Burkburnett oilfield, he established a reputation as one of the few salesmen willing to operate in the field among the roughnecks. He returned to the sales department in Dallas in 1924 and moved to Houston in 1927 to become assistant manager of sales for Texaco's southern territory. In 1929 he became manager, a position he retained until 1938. His success as an administrator of sales for the company's southern territory resulted in Leach's promotion to vice president of Texaco in 1938. He held this post until 1949, when he became director of the company and moved from Houston to the Texaco office in New York. He became executive vice president in 1950 and two years later was elected president. In 1953 he became chairman and chief executive officer. 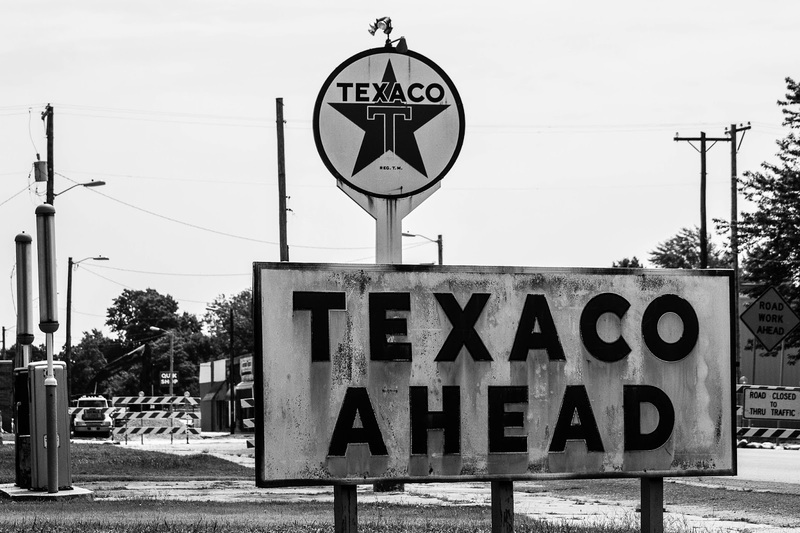 During his tenure as chairman Leach saw Texaco become a leading international oil corporation; the Houston Chronicle labeled him "one of the authentic giants of the oil industry." In 1956 Leach reached the mandatory retirement age of sixty-five and resigned the chairmanship of Texaco, though he remained an officer of the company. J. Sayles Leach Memorial Court at Rice University. Image available on the Internet and included in accordance with Title 17 U.S.C. Section 107. In retirement he returned to Houston, where he was active in the city's Community Chest and a member of the board of directors of Texas Commerce Bank and the Houston Lighting and Power Company. He was also a trustee of Rice University and Baylor University, which awarded him an honorary LL.D. in 1953. Among the awards Leach most cherished was the Texas Mid-Continent Oil and Gas Association Distinguished Service Award, which he received in 1950. He was married to Daisy Randolph and fathered two daughters. He suffered a heart attack and died in Houston on March 16, 1964. He was buried in Glenwood Cemetery, Houston. Dallas Morning News, March 18, 1964. Houston Chronicle, March 17, 19, 1964. Houston Post, November 21, 1956, June 22, 1958, March 17, 1964. Handbook of Texas Online, David Minor, "LEACH, JOHN SAYLES," accessed April 22, 2019, http://www.tshaonline.org/handbook/online/articles/fle04.